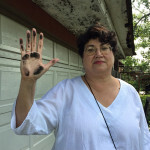 Peggy Salazar is a life-long resident of Chicago’s Southeast Side and has been involved in environmental issues in her community her entire adult life. She has been the Director of the Southeast Environmental Task Force since 2010. Before taking on responsibilities as the Director of SETF, Peggy served on the board for 5 years. 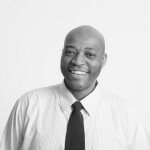 Bryant serves as the Senior Director for the ReBuilding Exchange. After earning a degree in biology and environmental science at Olivet College, he spent 15 years in the field of industrial hygiene and environmental engineering. Bryant also served as the manager of engineering for the Cook County Department of Environmental Control, where he was involved in developing and implementing the Demolition Debris Diversion Ordinance, one of the most aggressive in the Midwest. A lifelong resident of Chicago’s Southside, Bryant is excited about using his experience to help establish the Chicago-area as a world-class model of sustainability. 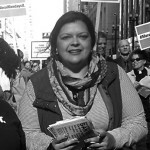 Olga Bautista is a life long resident and community organizer of Chicago’s Southeast Side. She is a founding member of Chicago’s Southeast Side Coalition to Ban Petcoke. Tom Shepherd is a twice past-president of the Southeast Environmental Task Force. He also serves on the boards of the Chicago Recycling Coalition, Earth-Share Illinois, Calumet Heritage Partnership, and the Environmental Justice Alliance of Southeast Chicago. 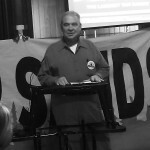 He’s an active member of the Chicago Clean Power Coalition, Sierra Club, Illinois Environmental Council, Friends of the Parks, Audubon Society, and Calumet Ecological Park Assn. Tom has been one of the chief advocates for protecting the Calumet region’s lakes, rivers, marshes, wetlands, and open spaces. He has developed a number of bus tours that the Task Force conducts for students and adults, showcasing the amazingly diverse local landscape -heavy industry existing alongside extraordinary natural areas. Tom was appointed by Governor Pat Quinn to serve on the Steering Committee for The Millennium Reserve Steering Committee, an ambitious plan to transform and maintain the ecology, culture, and economy of the Calumet region. 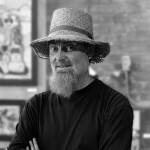 Thomas Frank is an Artist / Activist who has been working for environmental justice in the Calumet region for the past decade.  He is committed to addressing the heavily contaminated of industrial lands and bringing them back into use for community focused development and a “Just Transition” to a low-carbon economy. He is a member of the Southeast Coalition to Ban Petcoke. He served as the executive director of the Indiana Harbor Shipping Canal, with the task of cleaning-up one of the most polluted bodies of water in United States. Thomas served as a board member for the Wolf Lake Initiative, a bi-state environmental organization committed to promoting the use, preservation and protection of Wolf Lake’s natural resources. Preston Medran, who is originally from the southeast side, has seen and continues to see the impact that commercial, industrial and people centric activities have had and continue to have on the southeast side, Calumet area and Chicagoland area. 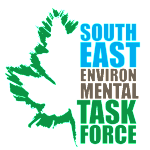 Preston is an enthusiastic supporter of the South Eastside Environmental Task Force. He believes that people need to be aware of what is occurring in their communities and be in involved with and whenever possible influence the activities that affect their environment. He believes in both community activism and volunteerism. His past community involvement has included two terms as a publically elected representative on the Gunsaulus Local School Council and he has served as a volunteer, board member and Treasurer with the Archer Manor Little League (AMLL). And While Preston is currently a resident of the Archer Heights/ Brighton Park neighborhood on Chicago’s southwest side, he still enjoys canoeing, exploring on the Calumet area waterways including, the Wolf and Powderhorn Lakes and the Grand Calumet River. Preston has spent his working career in healthcare/ health insurance industry and currently holds the position of Director of Network Development with IlliniCare Health Plan.